It is possible to recycle ideas, reuse stories and research and reduce effort. You’ve all heard the mantra, “Recycle, Reuse, Reduce” in terms of paper, plastic bags and trash. The mantra also applies to writing. It is possible to recycle ideas, reuse stories and research and reduce effort. Sometimes, it’s possible to mine one piece of work for another. Recently, I wrote a post about the application of the word “elderly” to Bernie Sanders for my blog about being middle aged. These posts also appear in the Rutland Herald (both in print and on-line) as well as on my website, my Facebook page, LinkedIn, and Twitter. I then reworked the piece for broadcast. While still focused on the definition of elderly, I slanted the piece more towards Vermont, where Bernie Sanders is junior to thirteen other, current US Senate. He’s even the junior senator from Vermont; Sanders is two years younger than Patrick Leahy. The piece was broadcast on April twenty-first, and is archived in both audio and text formats on the Vermont Public Radio website. It’s possible to reuse your research and ideas for different formats and different audiences, as long as you’ve retained rights to your work. This is crucial, especially when you’re being paid, as I am. I’ve been able to reuse research I’ve done for novels to write essays and give lectures. This has been a great way to recoup some of my investment and generate interest in a novel that has not yet sold. I have also mined this novel and its outtakes for short stories, which have won prizes and publication. Plucking a chapter out of a novel, or condensing a storyline from a larger work into something shorter to suit a particular call for submissions, is a terrific way to reuse your own material. Often, the exercise of condensing a story helps me see how to tighten the original work and make it better. A magazine article I wrote was then anthologized in a book. Another way to reuse your work is in anthologies. Sometimes, editors of anthologies put out calls for stories on a certain topic and invite writers to submit previously published work for consideration. Other times, editors read something you’ve published and ask permission to include it in an anthology they’re putting together. I’ve had work republished by both these methods. A cover story I once wrote for a magazine was anthologized in a book and also reprinted in a newspaper. Three credits and two paychecks for one piece of work. Maximize your time, output and income by reducing your effort. This is especially true in regard to research, where you inevitably learn more than you can use for the initial project. When this happens, you can find another way to use the material in a piece with a different slant. No knowledge ever goes to waste. To Recycle, Reuse and Reduce, I’d add Compost. Just as your compost pile you can turn your vegetable scraps into valuable, rich, soil, so you can turn your outtakes, incomplete drafts, and half-baked ideas into finished prose – with time. I keep running lists of ideas and file drawers of stories I’ve started and abandoned – until the idea turns over in my mind, and I’m ready to take another look, give it another try. Truly, these pieces may not ever be successful stories on their own, but they can and do often fertilize a new idea and help it grow to publication. While I always welcome your comments and usually reply right away, I’m writing this post in advance of being away and off-line. Look for my replies when I return to my desk in mid-May. Deborah Lee Luskin has won awards for her fiction and editorial columns. You can subscribe to her weekly blog at Living in Place. Recording at VPR’s Upper Valley Studio. Writers can generate income by activities other than putting words on the page; one of my favorites is giving public lectures. Never shy about sharing my knowledge or opinions, I’m happy to talk when asked. In fact, it’s a direct outgrowth of my work as an editorial commentator for Vermont Public Radio, the Rutland Herald and other newspapers, as well as my blog. They are part of my mission of “advancing issues through narrative and telling stories to create change.” Challenging my audiences to think about current problems in new ways is one of the reasons I’m a writer. Speaking at Brooks Memorial Library in Brattleboro, VT.
I’m also a scholar and educator, and lecturing gives me an opportunity to talk about what I’ve learned, so I’m pleased to be on the Vermont Humanities Council’s Speakers Bureau and to lecture for Vermont’s Osher Life Long Learning Institute, among others. The Speakers Bureau helps match libraries and lechistorical societies seeking programming with speakers who can provide it. For the Speakers Bureau, I’ve prepared and delivered a talk about the political and cultural changes that occurred in Vermont in 1964, a subject about which I learned a great deal while researching Into the Wilderness, my novel set in that time and place. Lecturing about that time allows me to use this knowledge again and to extend it to those who maybe haven’t read my book and who now might – or who maybe never will. I’m currently preparing a Speakers Bureau talk about the history of transportation in Vermont, an outgrowth of research I did for Elegy for a Girl, a novel set in 1958, when Vermont’s interstates were being built. I have contracts to give the lecture twice so far, which allows me to reuse the research I did when writing the book. But for the lecture, I’m extending my research as far back as Indian trails, military roads, canals and trains, all of which I find highly interesting. And who knows: I may stumble across a story to tell in the process. The Bernard Osher Foundation supports “lifelong learning institutes for seasoned adults.” Vermont has the second oldest population in the US, and one of the most literate. I’ve delivered lectures on Jane Austen at different Osher locations around the state, and I’m looking forward to preparing a series on Virginia Woolf next year. As a seasoned adult myself, I often enjoy attending these lively and informative lectures, too. Occasionally, I’m asked to speak at a local event, such as the elementary school’s farm-to-table annual dinner. These are good-will talks for which I charge no fee; they’re a part of being an engaged citizen in my community. I’m also still asked to address organizations about my novel, even though I gave more than forty public readings the year Into the Wilderness came out. Indeed, every speaking opportunity is an organic marketing opportunity and another reason it’s good for a writer to get dressed and get out. Clarify expectations with whoever is hiring you. Write them down! Some organizations have contracts, which I read carefully before I sign; with others, I send a letter of agreement. Be clear about what they want and be sure that’s what you deliver. Show up on time and prepared; stay on topic; speak for the contracted time period; answer questions; say thank you and stop. Likewise, be clear about what you expect in return. In addition to a speaker’s fee, this can include a projector and screen, a microphone, and clarity about who the audience is and how many they’ll be. It’s also good to be clear about marketing expectations for the event to ensure that an audience shows up. Even when the host takes on this responsibility, I always offer my headshot and bio, and I ask if they want me to broadcast the event through my media and social media outlets. Do you have other guidelines to add to this list? Have you ever given a public lecture? What was it like? Friday Fun is a group post from the writers of the NHWN blog. Each week, we’ll pose and answer a different, get-to-know-us question. We hope you’ll join in by providing your answer in the comments. Thanks for the great question. It’s difficult to provide a super specific answer without knowing a bit more (the type of writing you’d like to do, particular topics you’re interested in, audiences you’d like to reach, etc. ), but I do think we can provide some general guidance. The first step I’d recommend is getting clear about your writing goals. We addressed a similar challenge in our Friday Fun response to a new blogger who wasn’t sure how to evolve her blog into something that “makes a little money.” Knowing where you want to go makes figuring out the steps to getting there a LOT easier. Your plan to become a published novelist would be very different from your plan to become a syndicated columnist, a self-help author, a screenwriter, or a journalist. The Publishers – Print and digital distributors and other outlets that pertain to the kind of writing you want to do – what they are publishing, who their audience is, what they are looking for, etc. The Target Audience – “End readers” as well as any gatekeepers like editors, their interests, where they hang out online, who/what else they read, etc. The Influencers – The trend makers and “experts” like high-profile bloggers, review sites, etc. The point of this research is NOT to retrofit your writing to suit any real or imagined audience. It’s to help you better understand the lay of the land so that you can uncover and recognize opportunities. When you know (and are engaged with!) your market, you can more easily spot and take advantage of openings that are a perfect fit for you. I hope this is helpful. Good luck and do let us know if you have follow-up questions! Lisa J. Jackson: I know what you mean about wanting credit for your writing. I started writing for local papers so I could see my byline and even though the articles weren’t anything that changed the world, as it were, seeing my name in print was a thrill that still makes me smile. Most of my work now is ghost writing, in that my name is seldom on any final product. To morph into your own writing, as you mention, what is it that interests you? What do you want to be writing? What types of markets are you interested in? A great resource is LinkedIn – you can find groups of people you want to write for, writers who are doing what you want to be doing, and so on. Search on keywords and you’ll be on your way! Also, you may find this Freelance Writing Jobs website helpful. The daily e-mails are full of jobs and great articles. Deborah Lee Luskin: Jamie and Lisa have great advice; I just have twos cautionary tales about ghost-writing: In both these instances, the clients were confident they could write their own stories if they just had the time. One was a novel, another a biography. In the first instance, the client sent me about four pages, all about the name brand clothes, cars and gadgets the main characters used. This was preliminary to writing a contract. I gave my best spin about what was good, what could be better, and what I could do, wrote out a contract and an estimate, and sent him a bill for the two hours I spent – as we’d agreed on the phone. It took a while to get paid, but I did. No further material was ever forthcoming. I was relieved. The second instance was from a very successful businessman who wanted me to write an inspirational book about his life and his work. He had a great idea. We spoke on the phone; I did some research about him (checked his bonafides, business and background ) and traveled to meet with him. We had a great meeting in which I outlined what I could do (research and write) and what I couldn’t (design the physical book), but I did give him the name of someone who is a book designer. He said he’d get back to me when he returned from three weeks of travel. My friend the book designer contacted me the next day, saying he’d contacted her and tried to interest her in the job, offering her significantly less than I proposed. She told me I was still charging too little, and in her experience, this was the kind of client to avoid. Not a problem, since he didn’t contact me in three weeks. He contacted me six months later, asking when I could start. I replied that I had two projects on my desk that would take me the next six months. Could I resend my proposal? Did I know anyone else who’d be interested? I think ghostwriting is a great gig with the right client. And if a by-line is important to you, it can be negotiated into the contract, often offset by a lower fee. The business man cited above made it clear he didn’t want to share the by-line; he also didn’t want to pay me for shaping his ideas into a well-crafted narrative. On the other hand, I do a great deal of non-by-lined writing for major medical centers, and I’m fine with that. We have a contract for each assignment. I write it and get paid. Some of the writing is by-lined, but a recent job turned into something unexpectedly bigger than the 400-word piece initially contracted. By the time the editor finished (using my original interviews and research) she’d spent another three months to finish what turned out to be an 800-word story. She would have given me the by-line to the piece that was finally published, but I turned it down, as it was no longer my work. Hope this gives you some idea of the twists and turns of working as a pen-for-hire. Are You Ready to Expand Your Freelance Business? So you’re creating the life of a freelance writer. You’ve been paid for your writing, you’ve had a few clients. You love the feeling of creating content — and getting paid. Now you’re asking yourself if it’s time to start charging (more) competitively for your work. Or maybe you’re thinking of narrowing your niche and specializing in a certain type of writing service. Is the time now? How do you know when to expand your business? If you’re asking yourself these questions, you’re close to that moment. When you are seeking new projects and thinking of trying new types of content, it’s a sure sign that you’re feeling confident with your current skill set and are ready to push out of your comfort zone to try more. So what’s the next step? If you simply want to charge more, do some research on what current writers charge for that type of content. Maybe you’ll find you’re already charging a similar rate. If you aren’t, you can assess your skills and determine if a price increase is appropriate or not. If you want to try a new type of writing — perhaps for a medical company and you have never written a medical paper in your life — learn as much as you can about the type of writing you want to produce. Read, read, read, and read some more of the type of content. Seek out companies who have published the type of content and practice writing in a similar style. Seek out courses in the type of writing you want to produce. If you want to move from process/how-to guides to a white paper, there are a lot of differences. It’s a definite step in the right direction to already be a paid professional writer. You have a skill set. You know how to write. But now you need to move to the next level and learn the applicable tricks of the trade for your new niche. It’s not possible to know all the details about a particular writing style before you start charging for it. Even if you specialize in it, there’s always something new that comes along. And if you wait until you (think) you know all there is to know, you’ll never get started. How did you get started as a freelancer? You educated yourself, you researched, you practiced, you searched out markets seeking your skills. It’s time to do that again. Before you know it, you’ll have that ‘moment’ and know you’re ready to move forward and add a new type of writing service to your current portfolio. It’s time to move beyond your comfort zone. 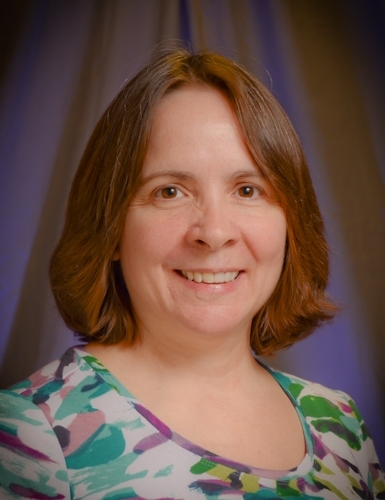 Lisa J. Jackson is an independent writer and editor who enjoys working with manufacturing, software, and technology businesses of all sizes. She loves researching topics, interviewing experts, and helping companies tell their stories. You can connect with her on Twitter, Facebook, and LinkedIn. Working from home is great, isn’t it? You can roll out of bed, get to your desk and work in your pajamas or yoga pants without any stress or strain. Heck, you could even skip brushing your teeth, showering, or eating breakfast if you wanted. And sleeping in? Well, without any commute or the need to get up and get ready for work, you’ve at least gained an hour every morning from the past daily commuter traffic drama, haven’t you? Working from home is convenient. And for some, myself included, maybe too convenient at times. It’s so easy to wake up and walk a few steps to the office chair — and sit… for hours, easily absorbed by our work and not being interrupted. With no one to tell us how we look, it’s easy to even stop worrying about appearance. We can work longer hours when we work from home, too. There’s always one more thing to get done, and we might as well tackle it sooner rather than later, right? Heck, there aren’t any dark parking lots to deal with or traffic to contend with – working from home gives us so much MORE time to work! Event though these things sound like they might be benefits, without discipline, working from home can become unhealthy. We can get out of eating regularly, not drink enough water, forget to get up and move, and even sacrifice must-needed sleep. When I worked in a corporate office I made sure to drink a lot so I had to get up several times during the day. Working from home, I got out of that habit, so now set a timer for an hour so that I’ll remember to drink something. Exercise is definitely easier during the warm weather months. This winter was difficult in terms of getting outside to exercise, or even drive to the gym. But it’s necessary to find ways to stand (standing desk, anyone? I know Lee has talked about the benefits at least twice) and move around to get the blood flowing and the slouched back straightened out. I gained several pounds over the winter due to not moving enough and grabbing junk food out of the pantry instead of taking the time to prepare healthy meals. Convenience isn’t always a good thing! Have you come upon any health concerns or challenges since you started working from home? How have you dealt with them? What do you do to make working from home a healthier option than the typical office job? 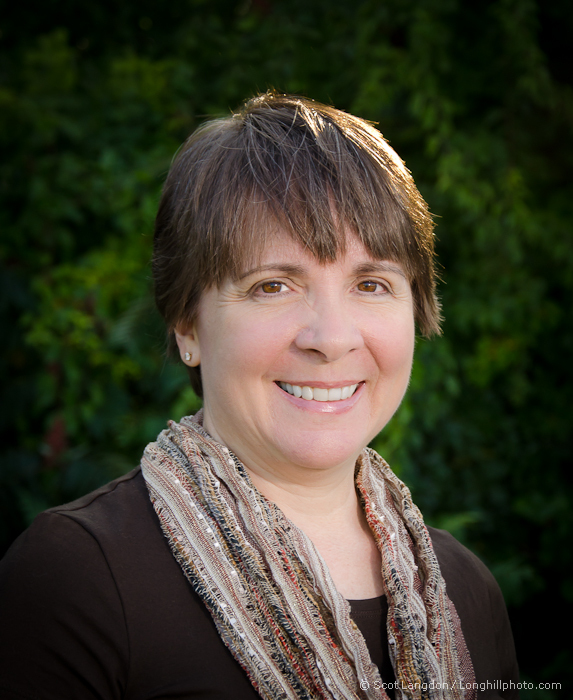 Lisa J. Jackson is an independent writer and editor who enjoys working with businesses of all sizes. She loves researching topics, interviewing experts, and helping companies tell their stories. You can connect with Lisa on Twitter, Facebook, Google+, and LinkedIn. Being your own boss is thrilling, isn’t it? It’s nice to not have someone to report to every day. You don’t have to deal with someone hassling you if you don’t show up or if you spend all your time chasing dust bunnies, shiny objects, or killing time on Snapchat or Facebook. Of course you want to impress your clients, but they come and go and care about what you can do for them, not necessarily about your personal success. There’s a lot of freedom (insert Mel Gibson’s scream from “Braveheart”) in working for yourself. Maybe too much at times. To be successful and keep your business on track, you need to think like a boss. What do I mean? Here are a few tips. Yearly, quarterly, monthly, weekly, and daily goals will help you achieve the success you want. Written goals keep you focused. Schedule time in your calendar, at least quarterly to review your progress on your goals. When working for someone else, you had to show up at a certain time, it’s just as important t o set a schedule for yourself and show up daily. It doesn’t have to be 8-5 5 days a week, but you should have a regular schedule – consistency and predictability are great for productivity. 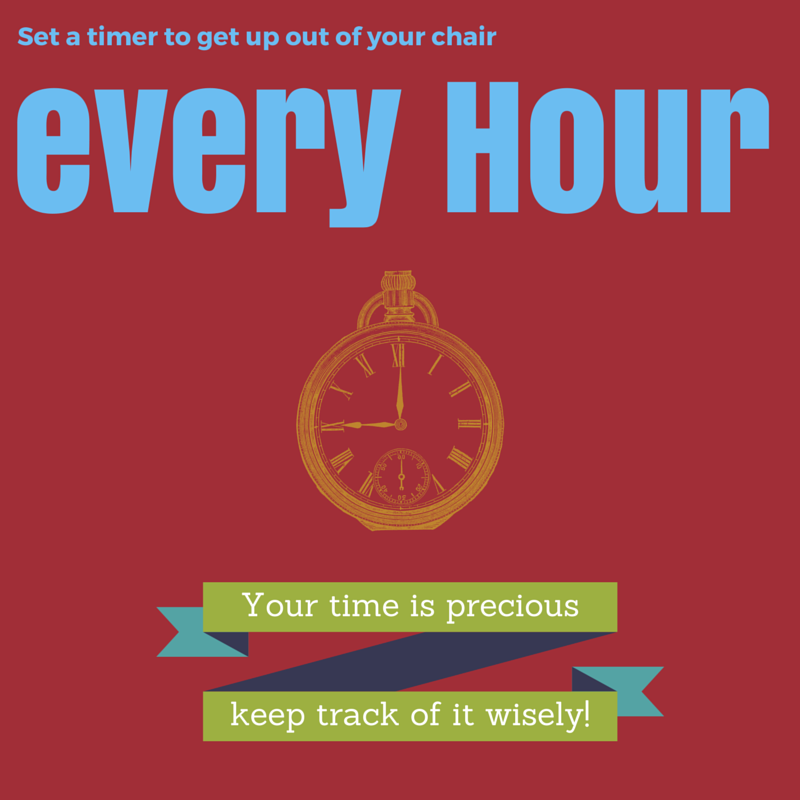 Use a timer and track how long you spend doing different tasks – including those ‘shiny object’ time wasters. Tracking billable hours is imperative to running a successful business. If you had a boss, you’d be responsible for all of the above – you’d be accountable for achieving certain tasks each day, week, month, quarter, and year. You’d even have once- (or perhaps twice) -a-year reviews. Which brings up another critical requirement for being your own boss: the self-evaluation. It can be tricky evaluating yourself, so a tip here is to act as though you’re reviewing someone else — it’s important to be honest about your strengths and weaknesses to achieve the success you want. No one else will see the report, but spend time on an honest evaluation, as it can only help you achieve the success you’re after. So if you start acting like the boss, you can the success that you want in your own business. Why not start now? You’re the boss – even if you’re the only employee. Do you find yourself unmotivated or drained when you look around and no one is cheering you on to achieve your goals? Does lack of support make you question your dream? If you find yourself here, stop, take a breath, and perform a reality check. Here’s a secret: You and only you have the power to meet and exceed your goals and turn your dreams into everyday life. Yes, I know sometimes it’s difficult to get on the rah-rah-let’s-go train, but, honestly, does it really matter what Friend A, B, or C thinks about your dreams? We’re each unique and need to share ourselves with the world in a manner that is true to us, individually. The only person we need to impress is ourself. If we end up surprising family or friends, it’s a bonus. But when we can prove to ourselves our dreams and goals are achievable, well, it’s euphoric. In my working life, I seek out writing opportunities that push me to learn more — it’s the only way I can grow. And when I nail a project, well, I do a happy dance to celebrate. Similarly, in my personal life, I’m focused on being a better runner. 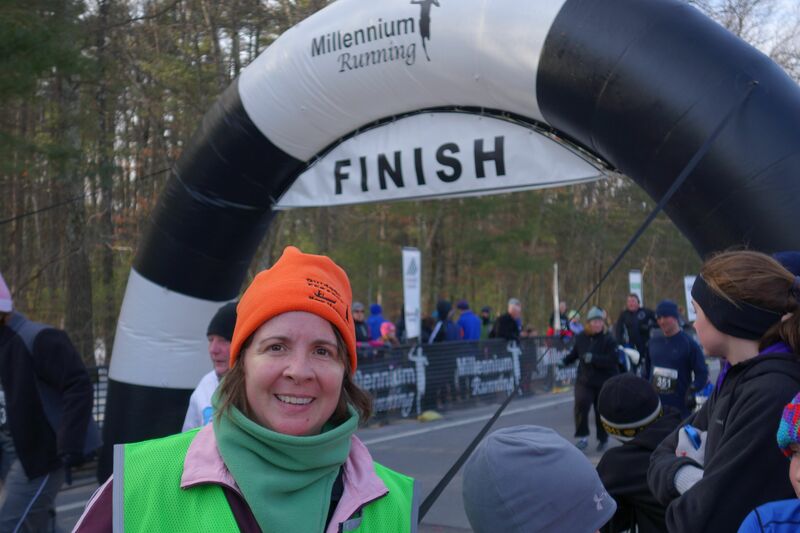 Running is still new to me, but I enter races, I show up, and I cross the finish lines. I’m not first, I’m not last, but I do my best in that moment. Kudos and cheers at the end are fabulous, but what puts the biggest smile on my face is knowing what it took me to get there — and actually getting there. You, like me, may always work (or run) with other people, but it’s our own thoughts that keep the forward momentum going — that get us to the end of the project (or finish line). If you keep moving toward your goals, step by step, little by little, day by day — no matter what others think or say — you will achieve what it is that you want to achieve. Now, go on and get this week started! Lisa J. Jackson is an independent writer and editor who enjoys working with businesses of all sizes. She just crossed her 4th runner’s finish line in 2014 and danced on her way back to her car to celebrate the victory. You can connect with her on Facebook, Twitter, Google+, and LinkedIn.